By Adam McCormac, Gartner, Inc. Along with their counterparts around the world, Canadian CIOs are transitioning to a new era of enterprise IT. In this era of digitization CIOs must build digital leadership and bimodal capability, while renovating the core of IT and capability for the digital future. Gartner Executive Program’s annual survey of more than 2,300 IT leaders worldwide revealed that while the top technology areas of focus for Canadian survey respondents largely match those of CIOs globally, there are variations in priorities. The top five technology focus topics for Canadian organizations essentially map the global topics – comprising BI/analytics, ERP, mobile, infrastructure and data centre and cloud. However, reviewing the balance of the list of technology priorities a more interesting set of variations become apparent between Canadian and global responses. Although security holds a similar mid-level ranking in both sets of data, Canadian responses show a higher priority on legacy modernization and industry-specific applications. Given the stronger influence of public sector in the environment, and the legislated privacy protection at both federal and provincial levels, the emphasis on security is understandable. As a result, this security-focused environment elevates the interest and resources dedicated to examining cloud offerings to look for those limited opportunities or advantages. The influence of federal government on the IT environment is also being felt, resulting from a recommendation of the auditor general three years ago to focus on legacy modernization. The positioning of digitization/digital marketing near the end of the Canadian list of priorities, combined with the higher ranking of legacy modernization and industry-specific applications, indicates the focus on maintaining stability in the IT environment. This emphasis would also help to explain the appearance of business process management/improvement in the Canadian top 12 list as organizations evaluate their business delivery processes in pursuit of legacy modernization. When considered along with the increased emphasis on growth and innovation, it appears Canadian organizations view a stable and sustainable environment as key criteria for growth and moving into a digital environment. The survey also shows that Canada has a different approach to public cloud usage compared to global use. Although fewer Canadian organizations have pursued public cloud offerings, one hundred per cent of those organizations use cloud SaaS compared with only 72 per cent of the global responses. Furthermore, in Canada, agility and innovation hold a much stronger and higher priority to justify public cloud decisions compared to the global data. 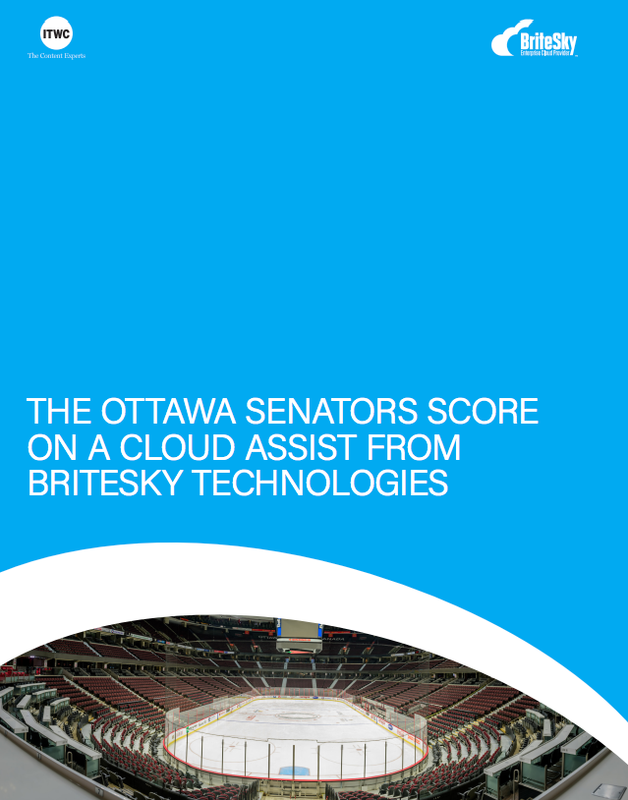 This would indicate that the advantages and benefits of public cloud are well recognized within Canadian companies, but the ability to leverage those advantages is being constrained by other factors, primarily information security legislation. As Canadian organizations adjust policies and risk practices to accommodate the USA Patriot Act, it will become easier for them to move into the public cloud environment. The Canadian government developing a cloud-first policy in the near future would facilitate this direction. The Canadian survey responses on sourcing closely match the general global responses. The majority of organizations report a mixed model of internal and external sourcing, with a strong proportion indicating mainly insourced and a smaller number of organizations mainly outsourced. Similarly, Canadian strategies for sourcing are in keeping with global direction, with close to 60 per cent of respondents indicating they will be increasing sourcing activities. The tight IT labor market in Canada is a main contributor to the move toward increased sourcing, as organizations find it difficult to access scarce or specialized IT resources. Whether IT needs to maintain legacy systems or introduce new technologies, recruiting and retaining the skills and experience to provide internal capability are becoming greater challenges that sourcing can help overcome. The bottom line is that a strong Canadian economy has provided Canadian organizations with a competitive advantage globally, placing Canada in a strong position to be a worldwide leader in the digital industrial economy. Several factors, however, could limit this influence and undermine Canada’s advantage, unless they are addressed directly. These resistance factors include a very traditional approach to IT management that is slower to adopt new digital roles and responsibilities, cautious risk policies and practices that limit consideration of new service options, and dependence on internal capabilities in a challenging labor market. To respond to the global potential, Canadian CIOs can support and assist their organizations in overcoming the resistance factors by embracing new opportunities and becoming strong advocates for pursuing a digital agenda. This will include expanding sourcing and service options to manage and maintain a core foundation technology environment as well as utilizing cloud and digital options to deliver a fast-response, differentiated, scalable and agile set of IT services. Adam McCormac is an executive partner within Gartner’s Executive Programs team. Based in Vancouver, he works with a diverse set of clients. His role is to support senior IT executives in areas such as timely tactical decision making; the provision of accurate, objective insights and recommendations; and ensuring the success of their longer-term strategic objectives.